Starting a new organization is very exciting, especially one whose founding is based on the life of someone who was well-loved and loved well. Although the tears still fall, we know Henry Williams would be proud of what this organization has accomplished in a short time. August 2017 – Sponsorship of Family Movie Night in Sun River Terrace, where over 100 people watch the movie Hidden Figures. 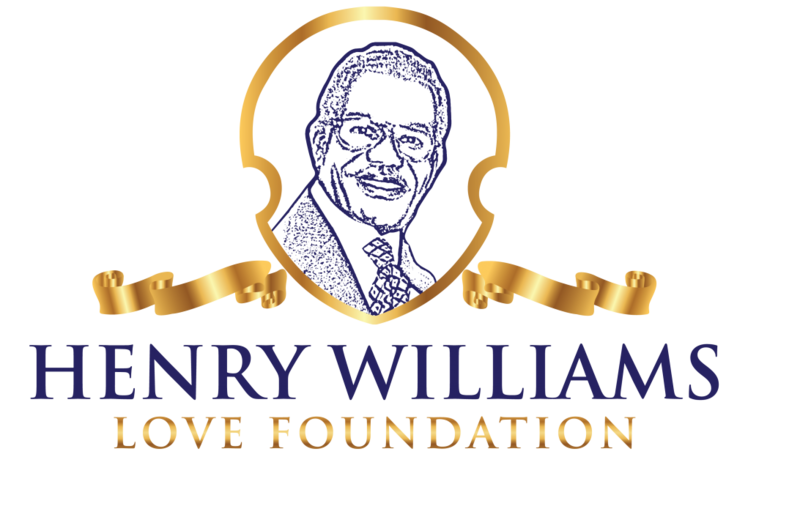 October 2017 – Henry Williams Love Foundation received its 501c3 designation. January 2018 – Poetry instruction to 75 students at the Global Academy of Citizenship in Chicago, IL and a culminating open mic for students and parents/guardians. March 2018 – Scholarship fund raising in partnership with Safe and Sound for 4-$500 scholarships to a deserving high school senior who excels in poetry, dance, singing, visual arts, or volunteerism and has lost a parent(s). We are thankful for the Board of Directors and volunteers who supported these activities, demonstrating our ability to organize and implement program, projects, and services. As such, we are very proud to announce the Henry Williams Love Foundation with our proposal for “The Shuri Project” has been awarded a grant from the Community Renewal Society’s Don Benedict Fund. The Shuri Project is a six-week summer technology mentoring program for girls ages 8-12 with the goals of keeping them safe while building self-esteem and increasing their tech aptitude. The Project is affectionately named after Marvel’s Black Panther, Princess Shuri, who was responsible for building tech in Wakanda and assisting her big brother, Black Panther, on his missions. The Shuri Project is designed to not only improve skill levels, but to plant seeds in households to discover the many career paths that touch tech and improve quality of life opportunities. There is an old adage, “the people perish for the lack of knowledge”. The Shuri Project in its design and focus will increase knowledge and access to opportunities so young women can not just see Shuri as a fictional character on the big screen, but actualize their inner Shuri by choosing tech as a personal interest area and potential education/career path. We are extremely grateful to the Community Renewal Society’s Don Benedict Fund for their partnership on this project. More information on location of program, enrollment, and other details are forthcoming with a program start date of Monday, 7/9/18. Please follow this website or us on twitter @henrylovesu2 for updates. Lastly, each year on the Saturday before Father’s Day, Henry Williams was honored at a backyard BBQ party given by his children. He loved seeing all his family and friends enjoying good food and music, and celebrating what he deemed as his greatest life’s achievement; being a good father. In keeping with tradition, the Henry Williams Love Foundation has announced the “Love Hero” Award. The Award was created to pay homage to Fathers who go above and beyond in showing love to their family and community. This year (2018) will the inaugural year for the award celebrated at a luncheon ceremony on Saturday, June 16th, 2018 from 12-3:30pm. The 2018 Recipient will receive a custom award and $250 cash gift. Nominations forms for the Award can be completed at bit.ly/loveheroaward. We hope you continue to spread the word about all the good things happening at the Henry Williams Love Foundation. For questions, please contact us at 815-797-9333 or email us at info@henrywilliamslove.org. < Who is Henry Williams?